Hurray, the summer has finally landed! Ibiza is well and truly ready for summer 2018! 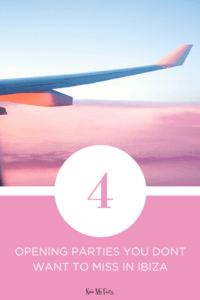 To celebrate we wanted to bring you a lowdown on 4 of the best opening parties in Ibiza 2018. As we recently launched our Summer Supernova Glitter collection we have paired each party with a fabulous new glitter shade to make sure you bring the sparkle to this year’s openings! Our favorite and the ultimate beach club experience in Ibiza is all set for summer 2018! Expect bigger and better crane shows with new themes, new shows and bag loads of surprises! For a day of luxury and fun under the Balearic heat, there is no place better to dance until sunset! To mark summer 2018 we linked up with Ocean Beach Ibiza and launched a bootylicious glitter perfect for those beach bum days! Ocean Peach is the only glitter to wear at Ocean Beach Ibiza this year! The golden orange and pearl tones are perfect for the sun-kissed skin! After a sell-out summer in 2017 Elrow is back at Amnesia for another summer of wild fiestas! Get ready for a night of crazy props, wacky costumes, inflatables, confetti and over-the-top make-up! The opening party of 2018 sees a brand new theme: Chinese RowYear. We can’t wait to see what this has in store for us! Be sure to get your tickets early as this party is always a sellout! Prismatic power’s holographic silver with mixed pastel tones is perfect for the colorful carnival which is Elrow Ibiza! You will often find team Kiss My Fairy, glitzed up and dancing until dawn at Glitter box Ibiza! Expect a night of flamboyant shows under the disco balls and get your dancing shoes on as this is one night you won’t want to sit down! Our on-trend retro glitter mix, Heathers is a mix of iridescent lilac with holographic silver tones. Perfect for all you glitter queens and those disco music classics! 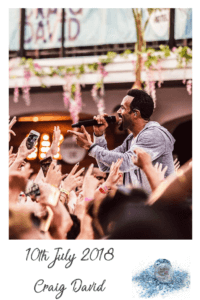 Returning once again to the white isle its Craig David and his TS5 Pool Party! Expect a day of sing out load fun, old-school anthems combined with MC skits and new tunes from the main man himself, as well as lots of yet to be announced, special guests! Wave after wave, a mix turquoise ocean blue with holographic silver tones is perfect for those pool party vibes! If you are not heading to Ibiza this year you can purchase our glitter online. All there is to say now is ENJOY the OPENING PARTIES and don’t forget we sell club tickets for all the major parties in Ibiza! 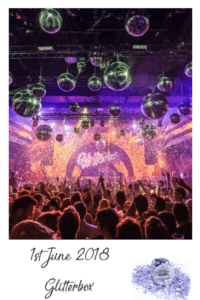 See you on the White Isle!